I’ve previously referenced my belief that heuristics – i.e., any mental shortcuts such as frameworks, mnemonics, or otherwise – are neither inherently bad nor inherently good; they’re just a rational response to a world which has too much information for us to possibly analyze our way to a solution from first principles every time. when circumstances deviate abruptly from what you are used to – for example, when you deplane in a foreign country and your habitual “left right left” traffic checking at crosswalks must reverse to “right left right.” The good news is that in most instances, the salience of the different circumstances is sufficient to trigger reevaluation of your heuristics. more insidiously, when circumstances change slowly over time. examples: career advice from someone who grew up in an era when the path to prosperity was working 30 years straight for one employer, or traditional colocated 9-to-5 work schedules in the era of Slack and Google Hangouts. I was recently reminded of the danger of (2) by an old nemesis of mine: neck pain. For a few years now, I’ve had on-and-off mostly-psychosomatic pain/tension in the muscles of my left shoulder and left side of my neck, which can range from mildly annoying/uncomfortable to severe enough that it’s hard to focus on anything else. Over time, via trial and error more than anything else, I figured out causes and solutions. It turns out that in my case, rubbing and stretching where it hurt only served to make the problem worse; eventually I traced the problem to my tendency to hunch my shoulders (which could be alleviated by positioning my keyboard differently and trying to spend less time sitting at my desk when I’m not working), and my tendency to slouch to one side (which I have to watch for, and can combat via stretching my hip flexors, quads, and adductors of my left leg.) Weirdly, applying fairly intense pressure to certain spots on my biceps/triceps above my elbow also relieves the tension. That proved to be a useful heuristic for quite a while: neck hurts? –> leg stretches and kneading + push on certain points in my left arm until my fingers are sore . Feel better in 30 minutes. Being able to identify (and preempt) the symptoms made things a lot easier. But over the past few weeks, the pain had been returning with increasing intensity and duration despite a relatively low level of stress and desk hours (the normal causal/proportionate predictors of neck pain). My usual heuristics were failing me – the muscles from my left knee to my left hip have actually gotten to the point where they’re pretty loose/pliable – and while they hurt when I worked on them, my miracle cure for neck pain was no longer working. An online recommendation of using a tennis ball as a targeted foamroller did help, but I could tell it was more of a palliative than a cure – a bit like popping an Advil, it made it hurt less for a while, but wasn’t solving whatever the underlying issue was. As with many problems, the solution was born of desperation – if every muscle in my body is as loose as it can be, then there shouldn’t be any cause for this pain. In the process of attempting to loosen every muscle in my body, I discovered that my calf was tight beyond all belief. This was a surprise to me because I’ve never really had calf pain – I’ve had shin pain sometimes while running, but other than typical post-workout soreness, my calves have never been a pain point. But my left calf took almost a week of stretching, foamrolling, and vigorous massage to untense. I started feeling better almost immediately – clearly, even though they weren’t explicitly hurting, the tightness in my calves was pulling the rest of my muscle chain out of alignment. How are my mundane faulty biomechanics relevant to investing and mental models? Well, the idea is that I developed a heuristic to solve a problem, and then the underlying cause of that problem shifted somewhat, and my heuristic broke. This was a relatively trivial problem (tight calves) with clear feedback as to whether the old/new heuristics were still working (neck pain or lack thereof), but: in the context of currently reading Thomas Kuhn’s The Structure of Scientific Revolutions, it got me thinking: in the whole process of building up mental models and heuristics, how do you ensure that the world hasn’t shifted under your feet? And how do you deal with it if it has? What happens when you’re forced to pull out a foundational Jenga block supporting the pillars of your intellectual life? It’s a question with meaningful implications even beyond investing; I’m at the age where a lot of my friends are finding or losing (mostly losing) the religion or ideology they grew up with, and the process of rebuilding a sense of identity or self around a missing pillar that’s supported you forever… well, let’s just say it’s non-trivial. Investing Application: Value Investing Is Dead… Long Live Value Investing? 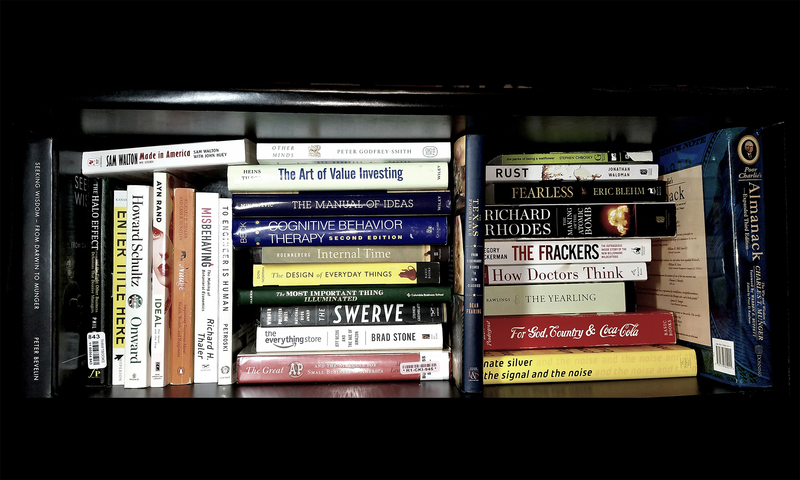 In terms of investing, reading two dozen investor biographies as a young beginning investor had the opposite effect on me, I think, than it was supposed to (if the people defining “supposed to” are the in-crowd) – rather than coming away with a sense of awe and veneration for many of the successful investors of past decades, I came away with a belief that while they laid the intellectual foundation, we (i.e. modern value investors) have far surpassed it. It’s a bit like athletes, really – I imagine an “All-Pro” NFL team from the 1970s would be decimated by today’s Cleveland Browns. Players today are simply bigger, stronger, faster, and better-coached. Absolute skill has never been higher… but relative skill has never been lower. And this is a problem: many investment approaches, for example, succeeded not because of the brilliance of the approach or its proponents, but simply because they were good-enough for an environment with far less competition from both humans and technology, and far less awareness of fundamental investment principles; not all that long ago, compelling investment ideas were as common as raindrops in Seattle. One clear takeaway is that in the process of building frameworks, it’s important not to assume that once a heuristic is in place, it’s set in stone; the pyramid of knowledge should be viewed more like a constant work in progress, like the skyline of New York City, with scaffolding erected every so often in different parts to allow maintenance to be done on what already exists. What’s the optimal frequency and depth of such re-checking? I don’t know. That’s a hard question to answer. Models built on bedrock principles that are unlikely to change rapidly (gravity, for example, or human nature) probably don’t need to be reevaluated terribly often. On the other hand, models built on principles that tend to be rather mutable (technology, or human culture) should likely be reassessed more frequently, in some sort of proportion to the underlying rate of change. But this process needs to be explicitly incorporated, on some sort of basis, because otherwise you risk the same frameworks that have served you well for so long becoming calcified and hindering rather than assisting you in your path toward excess returns (or world hegemony, or whatever.) The unfortunate challenge is that in the real world, feedback is not nearly as clear or immediate as neck pain: you don’t always know, moment to moment, whether what you’re doing is (sub-)optimal; when there are multiple confounding factors and payoffs are long-term rather than immediate, it can be hard to notice/know what’s going on. Maybe this isn’t wholly original. I dunno. But I thought to mention it because while I see a dozen and one mentions a month of building mental models, I see very few about reevaluating ones that are already built… and of course, incremental competitive advantage can only be achieved by doing something different than what everyone else is doing.